Home / Blog / Web Design / Are In-Content Links Destroying Our Ability To Think? Nicholas Carr has written a very interesting article in this month’s Wired Magazine that I think all web designers should read. The article is also online, though I’ll hold off linking to it for a moment for reasons that will become clear as you read through this post. I’ll also be keeping this post free from images and other media for reasons which again will become clear as you read through this post. The premise of Carr’s article is that the way we browse and search the web is rewiring the neural pathways in our brains and not necessarily in the best way. The nature of the web is that documents are interlinked and that as we read and encounter in-content links we have to make a choice whether or not to click. Even if we make that choice near instantaneously the links distract us, disrupt our concentration, and ultimately impede a deeper understanding of the content. Video and other media mixed within content do that same. Studies show that people who read linear text without links and other media mixed in, comprehend and remember more of what they read. The web with its links and mixed media promotes cursory reading, hurried and distracted thinking, and superficial learning. It’s not all bad. The web seems to strengthen other cognitive skills, typically the more primitive mental functions such as hand-eye coordination, reflex responses, and the processing of visual cues. It’s also likely the web improves brain functions related to fast-paced problem solving, particularly in regards to pattern recognition. Carr posted another article to his site this past Monday perhaps solely as an experiment, but mainly with the idea of removing all in-content links and moving them to the end of the post. The links would still be there, but they would no longer need to be dealt with as you read through the content. While the post may simply be an experiment, the indication from Carr is that he believes this is the best approach to linking. Marshall Kirkpatrick also posted an article for Read Write Web with a similar experiment, leaving out all in-content links. However in the article he points out his advice to new staff writers has been the opposite. I often advise new writers on our staff to place links inline with the reader’s mental voice and vocal emphasis in mind. 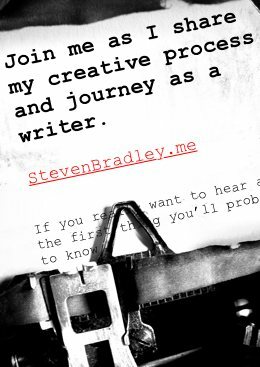 I like to add links out to other sources at every opportunity in order to enrich what I’m writing, to broaden the conversation, and frankly because I think linking to other blogs is a good faith way to encourage other blogs to link to us. To act as if our blog is the only place online to learn about what’s important is the height of arrogance and a real disservice to readers. I’ve always linked out liberally from here for much the same reason. I’ll also add that I think the contrast the links add to the text in terms of color and underlining makes the text more visually appealing when first skimming it. It strikes me that dressing up posts with links, images, and other media leads to more people reading the post, even if that reading isn’t as deep as we might like. I can also assure you that as long as search engines place a lot of weight on links when it comes to determining what page ranks where, you’re going to see a lot of links, especially in-content links, which are the ones most heavily favored by search algorithms. If you read the comments to all three posts (I promise the links are at the end of this post) you’ll notice a lot of sarcasm and some passionate responses not to remove in-content links. Ironically I think some these comments actually hammer home Carr’s points as their authors seem not to have completely read or entirely understood the points of the article. I guess the web is making them less able to deeply understand what they’re reading. I think you’ll agree the internet isn’t going anywhere and neither are in-content links, videos, and all the other distractions the web brings. The web brings a lot of good to our lives and I for one would feel lost without it. I’m guessing you would too. However if you’ve been reading here for awhile you know I favor long form articles that are meant to be read deeply. I do my best to make them scannable and I do add those distracting videos. I also link out a lot. A lot more than many other sites I come across. Still I hope you’ll spend time reading the posts here and learning on a deeper level than I think is the case with most of the design blogs I see. Should I be including less in-content links? Should I leave out videos, images, and other media that might distract you? I don’t think so. I don’t think the solution is to remove these distractions and try to force you to read long blocks of linear text (this post excluded). The solution has to be to work with the changes the internet is bringing to us rather than against it. The Wired article is still new in my mind so I can’t claim to have completely thought out a solution. I do have some thoughts I’ll toss out and ask what you think. Make links more subtle. Instead of removing them from the content, perhaps we can design them to blend in a little more. Provide enough contrast so they can be seen as links, but in a less distracting way so we can more easily ignore them while reading. Be more aware of why we’re writing a piece of content. Not all content needs to be read deeply. Maybe around any topic we’d have several different forms of content. Some meant to be scanned with ample links and media that would lead to additional content that’s presented with less media and more linear text. I think each of us has a lot of control over our own concentration and distractions. Instead of forcing us to read online a certain way, maybe we learn to enhance our concentration in other places. We can accept that we’ll read superficially online and save our deeper reading for offline. Book publishers will probably love this idea. Linear text works very well when reading a novel. When reading text meant to teach, images do help with learning. I’m thinking of the many textbooks I’ve read. The images and diagrams emphasize the points in the text. Sure they take me away from the text momentarily, but they greatly aid my understanding of the subject. If I’ve missed something in the text, I’ll just read it again. Take advantage of what the web is improving as opposed to focusing on what it isn’t. If the web is helping us process visual cues better, perhaps we should be communicating more visually. Good for all of us who work as visual designers. If the web is helping us become better at pattern recognition, maybe we should communicate more through pattern. Again I think the solution is to work with how the web is rewiring us instead of trying to prevent it from happening. Fighting change has never worked anywhere at any time throughout all of recorded history. The only real constant in the universe is change. I won’t claim to have any answers here, rather some ideas to think about. I will encourage you again to read the articles in question, particularly the initial one that appeared in Wired. You may disagree with its conclusions, but I think it’s an interesting article that does impact all of us who designs sites and create content online. The Case Against Links – Read Write Web’s post from earlier this week. And again do read or at least skim through the comments on each post. What do you think? Is there a problem with in-content links? Is the solution to remove them or is the solution to adapt to how they change the nature of reading? Maybe a slightly different way of linking out is not place the links in the body of the text but at the end of the article – I know that some online magazines take that approach. Andy that seems to be what the articles I linked to are suggesting and what I did here. I don’t think in-content links are going to go away. Some people clearly prefer them and there are good reasons to place links in content, specifically search engines. Maybe it depends on the article itself. Depending on the links and the article some might be appropriate at the end and some in-content. I read the first paragraph of your post and then scrolled to the bottom in order to find the link to Carr’s article, just FYI. No, actually, what I do in situations where a link is presented in an article is control+click on it (to open it in another tab). Then I continue to read the article I’m currently reading and when I’m done with it I’ll jump to the linked content. Doesn’t seem like a huge issue to me, but then again, isn’t that what my generation is growing into? Funny. I think I would have done the same and I was very tempted to place the link in-content like I usually do. I do the same with ctrl+click or rather cmd+click since I’m on a Mac. It seems to me that the concentration is in our control and if we want to focus we can. What I found most interesting in the articles is the tests showing that people don’t absorb or remember as much. I can understand that. Even of we have control over our concentration it’s easy to see how the link breaks that momentarily. I think in-content links can be distracting. However, users search the internet or read blogs to learn and find information. I think in-content links can contribute to the user experience because as they read, there are links right in the article related to the subject. Although I’m not like most users, I’ve trained myself to open in-content links in different tabs and go back to those tabs AFTER I’m done with the first article. This relates to your 3rd thought (listed above) of having control over our own concentration. But in conclusion, we need to understand why we write a piece of content. Is it to share a bunch of information through links or is it to engage the reader first in our article and then suggest other reading later? Dave I agree. Other than this post I still plan on keeping links in-content. For me it’s usually easy enough to ignore the links until I want to read them. Sometimes that’s while reading the original post and sometimes it’s after I’ve finished the original. Still I wonder if the momentary distractions add up. Are we losing something as read online and is there something we can do as designers to minimize that loss. Good point about why we write. I’m not sure there’s a one size fits all answer. This is an intriguing subject. If you’re familiar with Nicholas Carr’s research into the Internet and the effect on our cognitive skills, you may also know of Linda Stone’s research into, among other things, a phenomenon known as CPA (Continuous Partial Attention). Personally speaking, I feel some distractions can actually help us be more effective in creative problem-solving -other distractions (e.g. email, multitasking) can sometimes undermine our ability to focus and get things done throughout the day. My only familiarity with Nicholas Carr is the articles I mentioned here. My first encounter (that I’m aware of) with him was last week while reading Wired. I’ll search around for Linda Stone’s research, though feel free to post a link if you know of some interesting articles. Sounds like an interesting subject. I have to agree with you about some distractions being helpful. As I’m typing this I have the tv on. I grew up on tv and now work to it. For the most part it’s background noise and little more. At times it does distract me, but I find that’s usually when I want it to distract me and need a break. Creative problem solving absolutely happens when you’re distracted with other things. We all know those times when a solution to problem you were working on only comes to mind subconsciously when you’re doing something else consciously. On a related topic I don’t like to be 100% organized. I find doing a few things less productively forces me to think about them more and also requires some additional time allowing me to think more about what I’m doing. This is helpful post for thinking about content. Removing in-content links is a great idea – if you write boring posts. At least there is still a chance your visitor might read it all. Strange nobody has mentioned usability. Writing a sentence about a subject and then providing links to it half a dozen paragraphs later seems quite unfriendly and selfish. It’s like you are going out or your way to make things a little harder. I don’t think it’s about being selfish. Research is indicating that the links make it more difficult for people to read and comprehend what’s been written. It’s not about how interesting or not the posts are either. It’s simply that each link requires a decision by the reader and making those decisions impedes reading and comprehension. Like I said a few times I’m still planning on linking in-content and I wouldn’t advise people to remove those links. However I think we should all be aware that the in-content links mean what we write is likely not being understood as well as if the links weren’t there. If we’re all aware of the potential problem then we can also be working toward a solution. To me, in-content links are the same as footnotes, which appear in many of the books I read. The choice comes with whether or not to click on the link (or skim to the bottom of the page for the footnote) right then and there. Great article. It’s definitely an interesting problem as there are arguments for both sides. Ultimately I think the designer / blogger should do what they find most useful. Again I’m another one who will open another tab whilst reading. But ultimately as a reader I’m looking for an answer and they way we read web sites should not be compared to the way we read books because its completely different. Like apples and pears. Thanks. What was most interesting to me was that the research seems to clearly indicate any distraction, including in-content links slows us down. Other than this post I haven’t stopped included them and don’t intend to, but it’s still something to consider. I wonder if the best solution would be to make the links a little less obvious so they can more easily be skipped, but apparent enough for those that want them. I’m the same as you. I’ll read, open a new tab, and get back to reading. I think a lot of this comes down to the reader too. Maybe it slows you down, but that doesn’t mean you can’t go back and read again if the first time through the content is something you want to read. I’ve also been wondering if those of us here; me and everyone commenting, are a different kind of web reader. We likely spend more time reading online than the average person and so maybe this doesn’t affect us as much as it might others. by the way, whats up with your comment system? you do the captcha then end up at a blank white page saying “your comment has been accepted”. Then… nothing? ah sorry its just for the first one. Still kinda odd though. Good question. I have no idea what the answer is though. I didn’t even realize there was any captcha system in place. The only thing I can think is that for whatever reason my spam plugin flagged your comment was spam as a false positive. It actually flags me as spam on occasion when I’m not logged in as the admin. I’m slowly working on a redesign and with it some changes in the plugins I use, including the spam plugin. Hopefully that will fix the problem. I have thought this as well, sometimes I end up with 20 tabs open trying to get info from all of them, and almost always get pulled away by something else. It’s definitely easier to get distracted. That happens to me too. Sometimes there are so many things you want to read. It can get distracting. I tend to read through an article and then once finished scroll back up to check out the links I wanted to know more about.